Si signore (yes sir)�your search is over for Femminello Santa Teresa lemons to make your version of the classic Italian drink, limoncello! The Femminello St. Teresa, or Sorrento Lemon of course is native to Italy, but luckily they are also grown in small quantities here in California. Some of the great things about the Femminello St. Teresa lemon... it has a low seed count, but yet has a high juice content that makes them great for cooking. 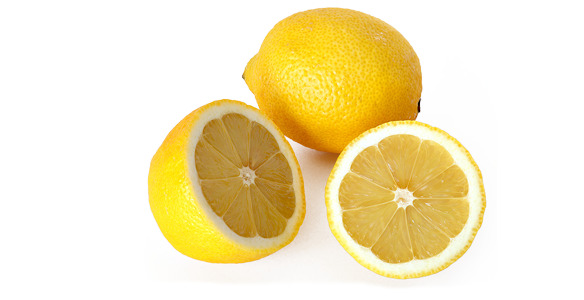 But it�s the lemon�s zest that they are really prized for. A zest high in lemon oils, is the essential ingredient that adds the perfect flavor in limoncello, or any other drink or wonderful culinary creation that calls for lemons. So when you're ready to go "old world" in your kitchen, order up some of these Santa Teresa Lemons from Pearson Ranch. When are Santa Teresa Lemons available? Femminello Santa Teresa Lemons have a rather short harvesting season. They typically can become available from FEBRUARY thru MARCH. Due to their limited quantities and short season, annual market pricing will also vary from season to season. Please call Pearson Ranch to check on availability! How many pounds of Santa Teresa Lemons do I get in a box? Pearson Ranch sells it's Santa Teresa Lemons in 5 pound Quantities. For more 10 pounds or more, please call for details.